Reid Valmestad is professional adventure, lifestyle, landscape, and commercial photographer & videographer. Based out of Winnipeg, Canada, Reid has travelled across five continents, working with prominent brands pursuing his passion for capturing the essence of adventure. Whether it's staying up all night to capture the northern lights, or chasing a mountain sunset, Reid's commitment and unique eye behind the lens is what allows him to capture adventure in it's purest form. May, 2018 - Reid was brought to St. John's, Canada as a part of the 2018 Ford EcoSport launch campaign. He created both video and photo for Ford to use as marketing material of the vehicle's nation-wide roll-out. May, 2017 - Reid travelled to Cape Town, South Africa to capture content for the President Hotel. The video was purchased by the City of Cape Town for tourism purposes. July, 2017 - Reid was hired by Ford Canada to photograph a Ford F-150. The images were used as part of their "Canada's 150th Birthday Landmark Celebration" campaign. September 2016 to Present - Reid has worked with Olympic Champion Dara Howell on developing her digital brand. From ski competitions in Colorado to cross-training in Vancouver, Reid has travelled with Dara to capture the true lifestyle behind olympic training. Early 2017 to 2018 - Reid has worked with Skip the Dishes on various marketing campaigns. From video advertisements and commercial photography, to billboards, and digital content. Reid has worked closely in developing and growing Skip the Dishes' overall brand. April, 2017 - Reid travelled to Calgary, Canada to create internal recruiting & training videos for Uber. "Reid was incredibly professional and diligent about ensuring our video project was executed flawlessly down to the smallest detail. He took the time to consult with us on our project's vision and made sure we were comfortable with the status of the project as it progressed. His deliverables exceeded expectations and we hope to get the opportunity to work with him again!" 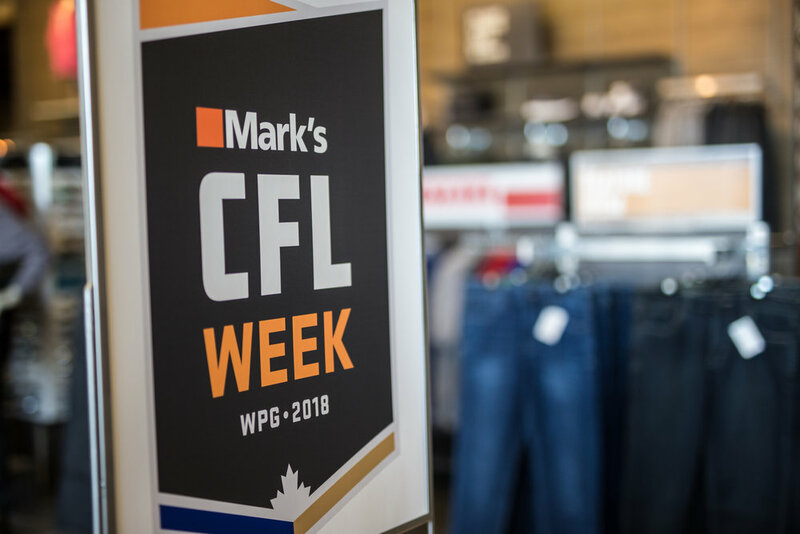 February & March 2018 - Reid was commissioned by the Canadian Football League to photograph their annual "Mark's CFL Week." The photos were used for marketing materials and for press usage. June, 2017- Reid travelled to Churchill, Canada (also referred to the polar bear capital of the world) to create a video for PangeaSeed Foundation's Sea Walls: Artists for Oceans - Churchill Edition mural festival. December, 2017 - While working closely with TELUS's marketing team, Reid captured photos of holiday shoppers as they interacted with TELUS's activation event. August 2017 - Reid was commissioned by NEFF Headwear to capture lifestyle shots of their products. The essence of the project was to portray their products in a more inviting way, and in an urban setting. February 2017 to Present - Reid has worked closely with the Winnipeg Blue Bombers since early 2017 to develop brand videos for their "Break the Silence" program. As a part of this, Reid has travelled to many Northern communities in Manitoba, Canada to capture photo and video.